Keputusan Colonial Policy Committee pada 28 Okt 1955 pun dihantar oleh Lennox-Boyd kepada MacGillivray pada 29 Okt 1955. (FO 371/116941, no 76, 29 Oct 1955). Dia tak buang masa...memang ada sense of urgency. Dalam telegramnya kepada MacGillivray, Lennox-Boyd menegaskan supaya MacGillivray menentukan "...every effort be made to persuade Tunku Abdul Rahman to do no more at the talks than clarify amnesty terms." Rumusan arahan ini termasuk "...If it would help, however, in briefing the Tunku for the meeting with Chin Peng, MacGillivray might say that he had been informed by him that, although the shooting war was not yet ended, internal security conditions had improved to such a degree that the British Government no longer regard them as an obstacle to further progress on the road to independence. He also was prepared to send the Tunku a personal message timed to reach him shortly before the meeting." (Nik Anuar Nik Mahmud, (1990), Tunku Abdul Rahman-Chin Peng Amnesty Talks And British Response, Jebat 18, (1990), hlm. 191, di SINI). TETAPI dia tidak memasukkan arahan supaya MacGillivray meyakinkan Tunku secara privately mengenai "...British commitment to Malayan self-government". "...on further reflection I felt considerable doubts whether the instruction given would have the right effect. The statement which the High Commissioner was authorised to make might be interpreted by the Chief Minister as meaning that progress towards self-government does not depend on an impartial assessment of the security situation while it seemed to me that the terms of the assurance might sound so uncertain and evasive to the Chief Minister as to cast doubts on our sincerity and motives in agreeing to the discussion next January." "The attitude of H.M.G. towards progress towards self-government remains as it was when agreement was reached to discussions next January and to the establishment of a commission to review the constitution. Although H.M.G. fervently hopes that the Emergency can be brought to a end within the amnesty terms, they do not consider that its continuation at the present level need in itself prove an obstacle to the establishment of such a commission and the consideration of its recommendations, provided that no concessions are made to the Communists during the forthcoming talks which would affect the ability of the Federation Government to keep the internal security position under control." Panduan ini dihantar kepada MacGillivray melalui telegram pada 1 Nov 1955. Pindaan yang signifikan daripada yang asal ialah "provided that nothing transpires during the forthcoming talks" kepada "provided that no concessions are made to the Communists during the forthcoming talks." (FO 371/116941, no 76, 1 Nov 1955, hlm. 192-193. Dalam A J Stockwell, (1995), Editor, Part III: The Alliance Route To Independence 1953-1957. London: HMSO). Cukup le setakat ini....Bersambung, insya-Allah. Oh ya...jika sesiapa ada bahan terbabit, mai le kongsi bersama saya. 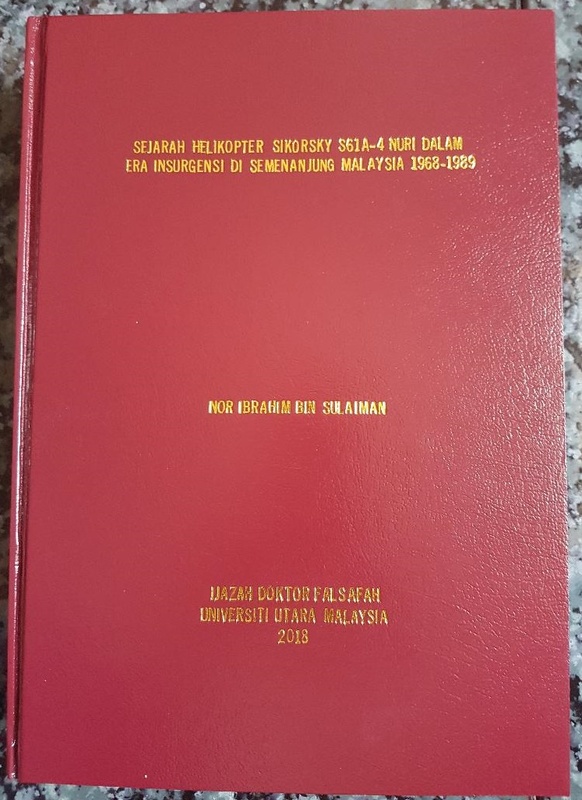 Sekurang-kurangnya dapat juga memperkayakan pengetahuan peminat sejarah tanah air kita tercinta ini. Terima kasih.